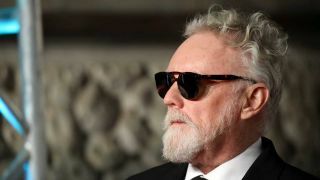 Queen drummer Roger Taylor has released a new single, Gangsters Are Running This World. The song is a sincere commentary of the current state of the world, and opens with the lines, "There's blood in the streets / Panic in the air / The markets are trading up / In madness and fear." This isn't the first time Taylor has released songs with a political bent - 25 years ago he released the single Nazis 1994, while his 1998 album Electric Fire featured a cover of John Lennon's classic Working Class Hero. Last month it was revealed that Queen are considering working on a sequel to the award-winning Bohemian Rhapsody movie.